In honor of our departing and incoming board members, let’s have a happy hour. 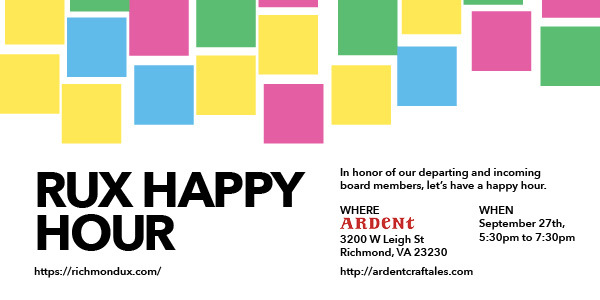 The weather is beautiful so let’s meet outside at Ardent in Scott’s Addition. Richmond UX will arrange some snacks to go with the tasty beverages.